We love fall leaf crafts! Anything that combines a dash of the outdoors, a splash of colourful printing and a bit of playful learning is all good with us. 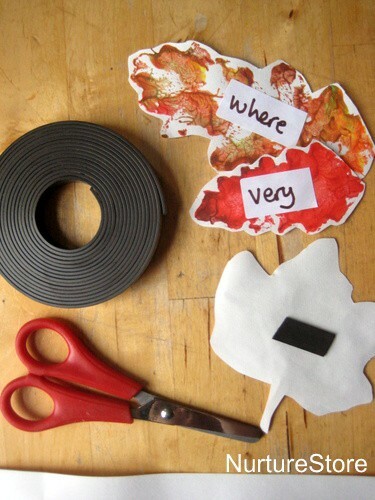 We’re going to be using this autumn word tree for lots of different word games over the coming weeks – here’s how to make one. 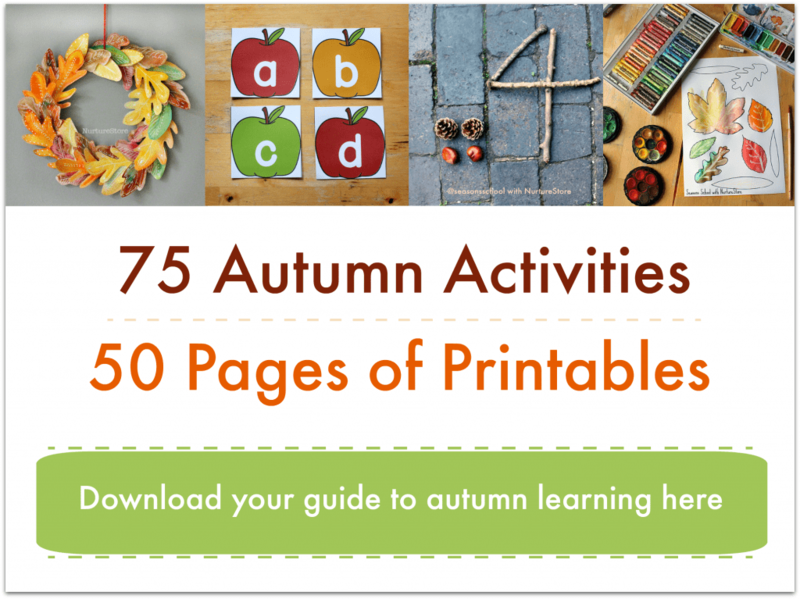 There are some activities that are absolute classics and every child should try, and I think autumn leaf printing is one of them. It’s such a sensory delight! 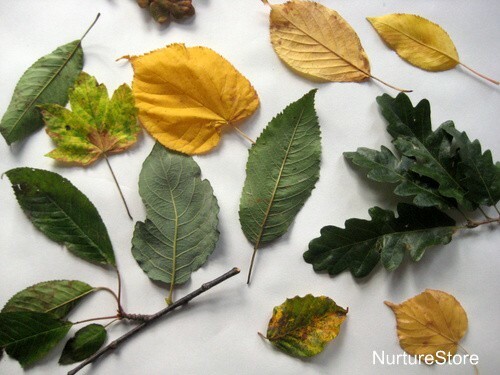 Children are learning about the changing of the seasons, playing with natural, sensory materials, and creating gorgeous art – all with just a few leaves gathered on a nature walk. We like to use a really big roll of paper for our leaf prints, so we can all work together and make lots and lots of them. 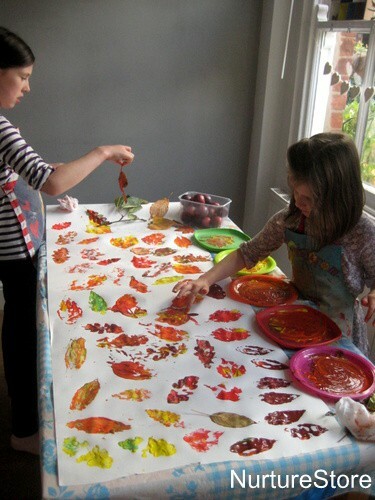 We used our kitchen table and I set out a roll of decorators’ lining paper and some plates of paint. Combining a few colours on each plate gives a great effect when you print from them. 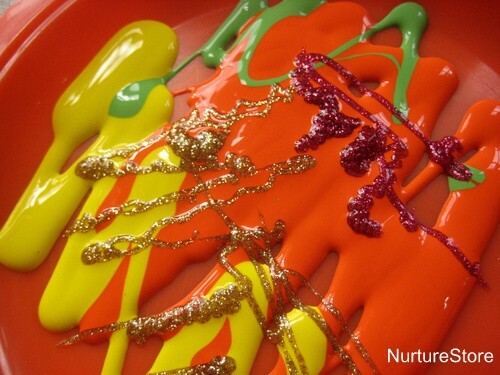 And we added some glitter glue because… well, you don’t need a reason for a bit of sparkle, do you? We’d gathered some leaves on our walk that morning – lots of different shapes and showing the first signs of the changing season. Then it was time to print. Don’t the leaves look glorious? I think we might repeat this on fabric rather than paper, so we can make a table cloth. This time though, I had other plans for all those leaves. We’re working on learning lots of high-frequency / sight words at the moment and I wanted the leaves to become our word wall for this season. Well, a word tree actually. 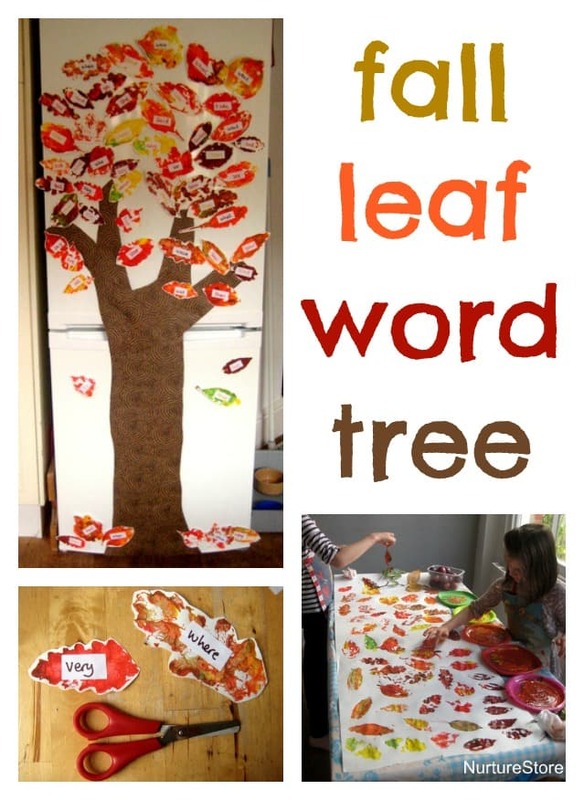 Then we made a tree trunk for our fridge door, and stuck on all the leaves, making ourselves a work-of-art word tree, that looks gorgeous, and which we’ll use time and time again for all sorts of word games over the next couple of months. How did you make the trunk? 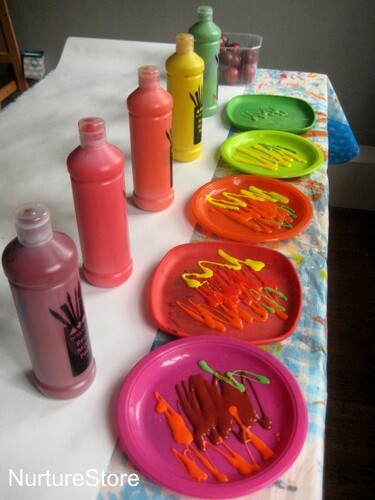 Love this project for my daycare kids! Hi moriah. I just cut out the shape from a sheet of gift wrap and stuck it to the fridge door with Blue-tac. It’s cut in half so I can still open the fridge and freezer doors!! Great activity! Have you read Rocket Wrotes a Story? No Marie, I’ve not heard of that. I’ll go check it out. Can I ask what time of paint you used or what works best? Hi Susan, we used what we call poster paint, but perhaps is better know as tempera. It’s a water-based, ‘craft’ paint. This is a lovely craft I will use with my pre-school children , we could write each child’s name on a leaf and see if anyone can spot their name. That’s a great idea Lisa. Hi Amy. Yes, you’re welcome to use one photo so long as you link back here so people can see the original idea. Thanks!